Greetings from Western North Carolina. My name is Tom Savage, and I am a high school Science teacher at the Henderson County Early College on the campus of Blue Ridge Community College in Flat Rock, NC. I currently teach Chemistry, Earth Science, Physical Science and coach our Science Olympiad Team. This is my fourteenth year teaching and ninth year teaching at the early college. 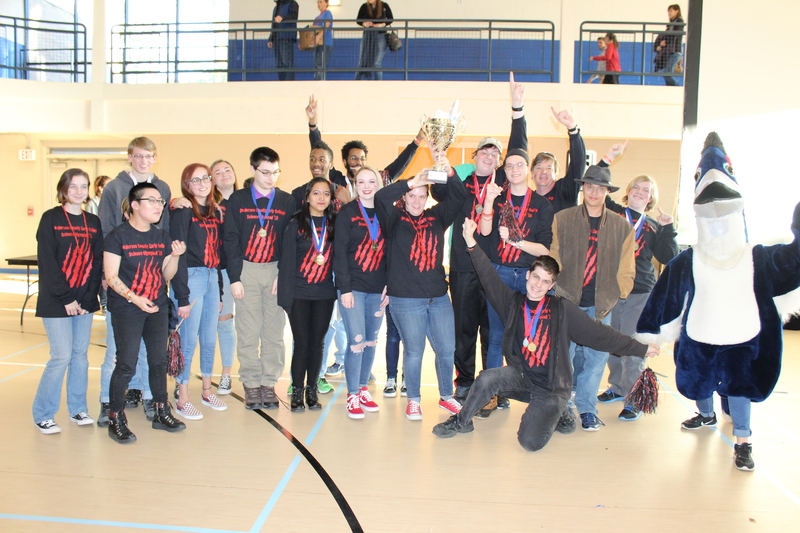 Science Olympiad team placed first this year at UNC – Asheville, NC ! Exactly three years ago, I was preparing for my first NOAA Teacher at Sea voyage aboard NOAA Ship Henry Bigelow. During that mission, we conducted a cetacean (whale) inventory off the coast of New England in a region called Georges Bank. It was a trip of a lifetime and it had a profound impact on my teaching and my students. As a result, students in my physical science classes are now identifying whales species based on their sound acoustics. In addition, I began a new elementary outreach program, “Young Scientist.” Through activities, elementary children are exposed to the many sounds marine mammals produce for communication. Embedded within these lessons is the the marine mammals that reside in our oceans and NOAA’s mission in safe guarding these fragile ecosystems. Collaboration continues today with acoustician scientist Genevieve Davis, from NOAA’s Northeast Fisheries Science Center, located in the small scientific community of Woods Hole on Cape Cod. 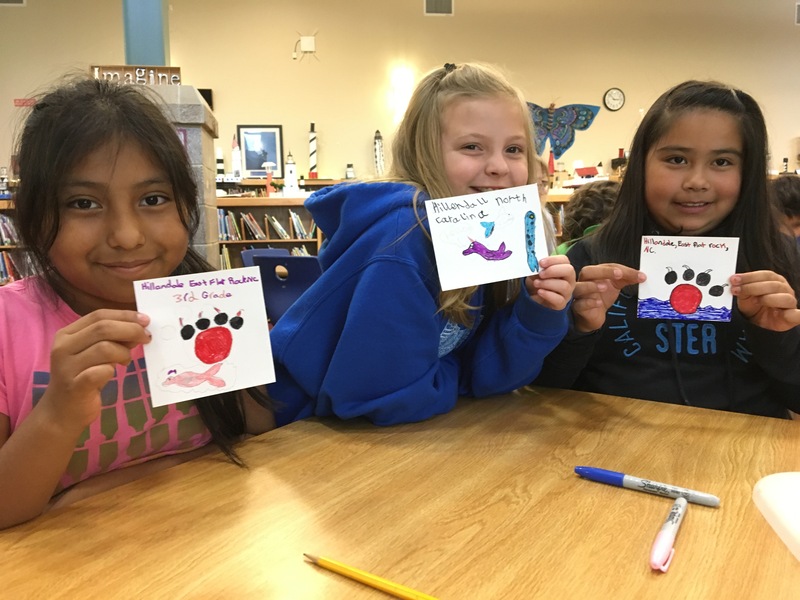 “Sounds of the Sea” ~ elementary children designing stickers to be attached to the drifter buoy. I was very excited and honored to be chosen for another “once in a lifetime adventure,” two in one lifetime! This year I will be assisting with a hydrographic survey in and around the inside passages of southeast Alaska on NOAA Ship Fairweather! The goal of the survey is to map the ocean floor through the use of SONAR for the purpose of updating nautical charts. Using sound waves for mapping will compliment my marine mammal lesson plans. On this mission, we will be deploying a drifter buoy in which students will be tracking during the year as it will be transmitting realtime locations. I have always had a fascination with the oceans. During the summer of 2013, I spent a week with eighteen other science teachers from across the county, scuba diving within the Flower Garden Banks National Marine Sanctuary. This week long program was sponsored by the Gulf of Mexico Foundation and NOAA. This exceptional professional development provided an opportunity to explore, photograph and develop lesson plans with a focus on coral reefs. I also learned about how important the Gulf of Mexico is to the oil industry. I had the opportunity to dive under an abandoned oil platform and discovered the rich, abundant animal life and how these structures improve the fish population. Prior to becoming a teacher, I worked for six years in the GIS (Geographic Information System) field collecting, developing and designing maps for many purposes; ocean floor mapping is not on the list. I also worked for five years as a park ranger at many national parks including the Grand Canyon, Glacier and Acadia. Working at these national treasures was wonderful and very beneficial to my teaching. Providing young adults with as many experiences and career possibilities is the hallmark of my teaching. During the year, I arrange a “Discover SCUBA” at the local YMCA. Students who have participated in this have gone on to become certified. 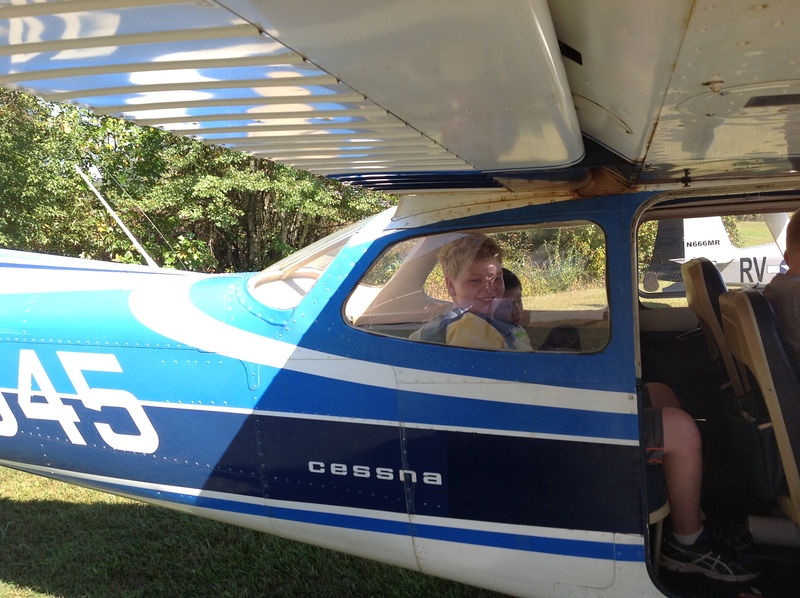 In the fall I have offered “Discover Flying” at a local airport, sponsored by the “Young Eagles” program. Here students fly around our school and community witnessing their home from the air. A few students have gone on to study various aviation careers. The most difficult part of being at sea for such a long time is missing my family. They all enjoy the ocean! 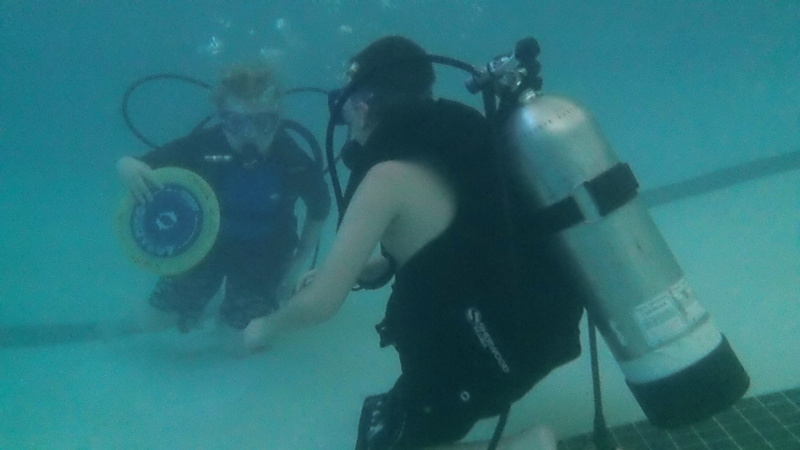 I have been diving with my son since he was 12 and this summer my daughter will earn her junior certification. I look forward to sharing this adventure with you! Please send any questions that you may have and I will respond in a timely manner. Until next time; happy sailing! 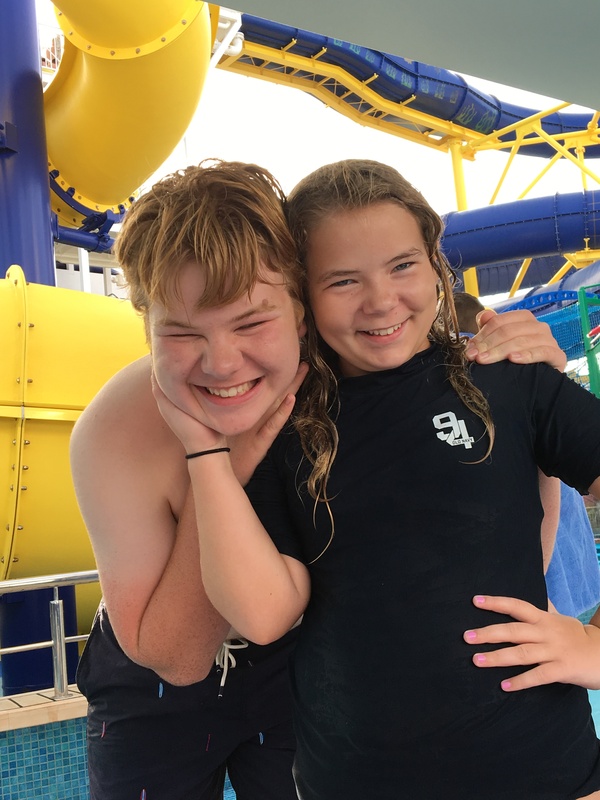 This entry was posted in 2018, NOAA Teacher at Sea, Thomas Savage and tagged alumnus, introduction, NOAA Ship Fairweather, North Carolina. Bookmark the permalink.